Here is a hairstyle for women with medium hair. It requires twisting some sections of your hair and securing on the back of your head. But that’s not all. This hair color is also amazing. It gives a unique appearance to a regular half up half down hairstyle. 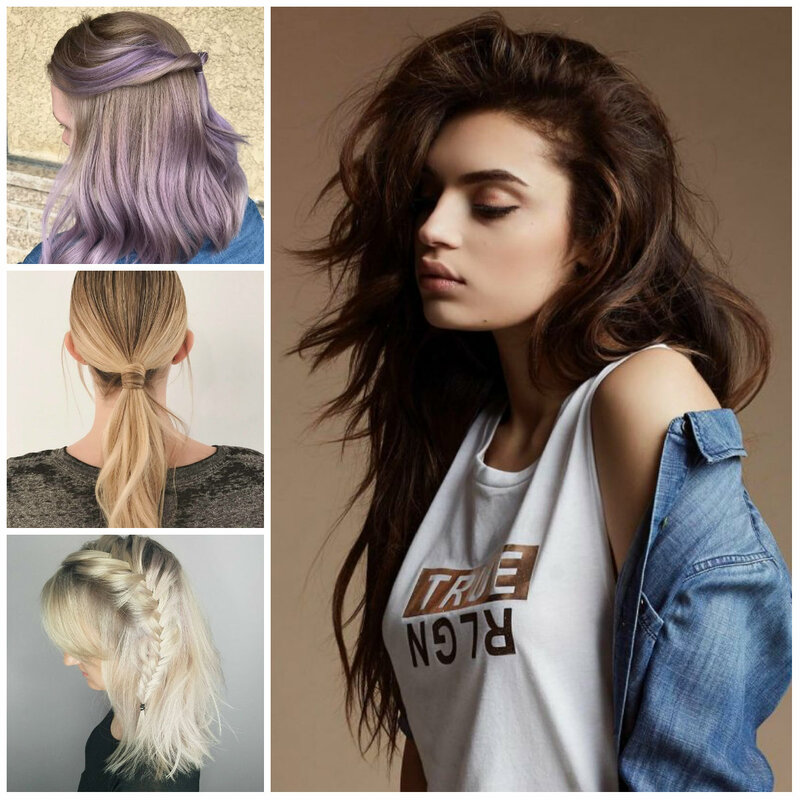 It is an ombre that requires transitioning from light brown hair color to lavender towards the tips of the locks. It is a bold color option for bold ladies. Your black hair will look best with this braided updo. The chunky Dutch braid spices things up while taking the updo a notch higher. Apart from the braid, hair color is also stunning. It is a blend of black and purple tones that are combined to provide with a bold look like this. This updo is quite messy and disheveled. Finish the look with a strong hold hair spray to keep it in place. This half braided updo is adorable the way it is. 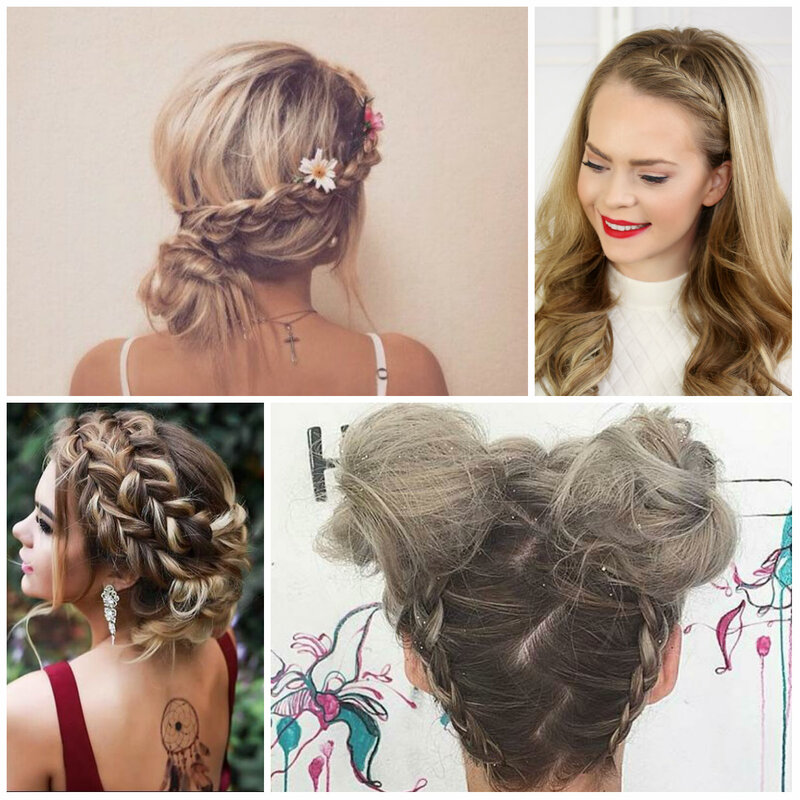 It is not necessary to braid all the way up to create a chic hairstyle. Half braids provide with equally cool hairstyle. 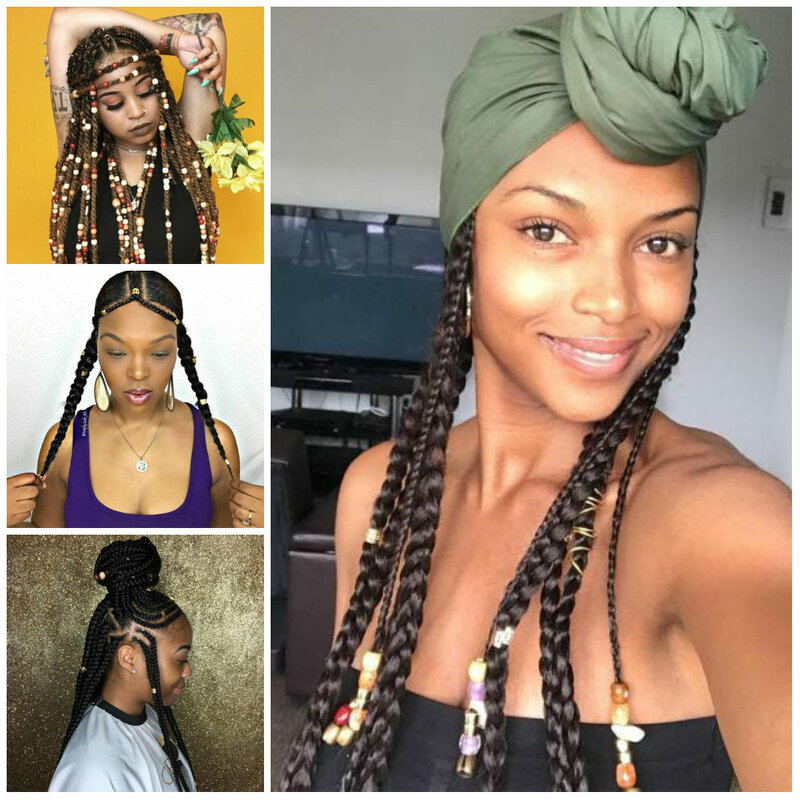 Get some braids and apply some lovely beads on the tips of the braids for a fascinating look like this. This style is great for young girls who prefer wearing Boho inspired hairstyles. Feel free to go creative with your headdress and rock a cool hairdo. If you woke up with bold feelings, go for a bold style to satisfy your desires. 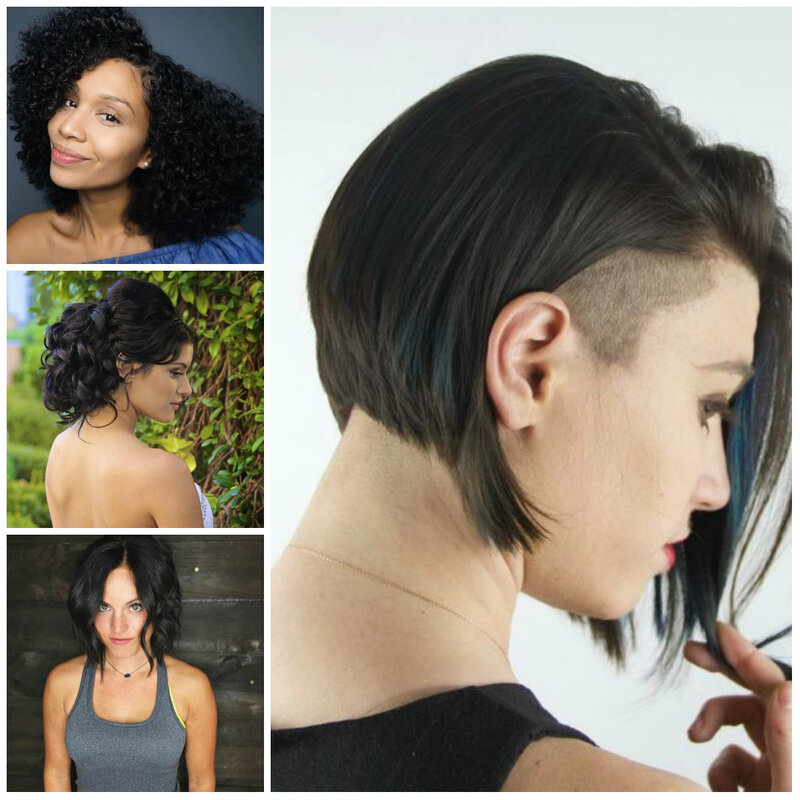 This bob can be the best option for you. It requires giving one side a little bit longer effect to create an asymmetric look. Tuck your strands behind your ear to show of the contrast between hair lengths. But the crop is not the only thing, hair color is also amazing and it is blue. You may pull off some statement earrings to make this bob even more impressive. 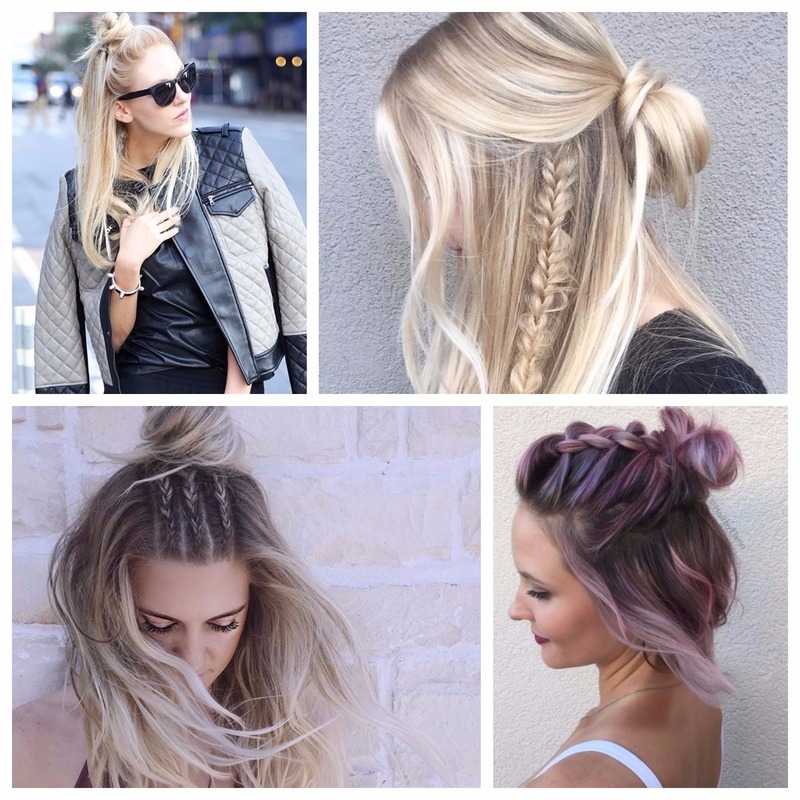 You can easily transform an easy French braid to a boho chic hairstyle -just like in the picture below. It is a messy low bun that incorporates a single French braid. You just need to style it appropriately to get that boho style. Don’t forget to wear an appropriate dress and apply flowers to complete the look. It is a summer style that will make you stand out in the crowd. Create a badass bun by throwing in some sharp cornrows. Cornrows have always been popular and recently they are seen paired with medium to long tresses. 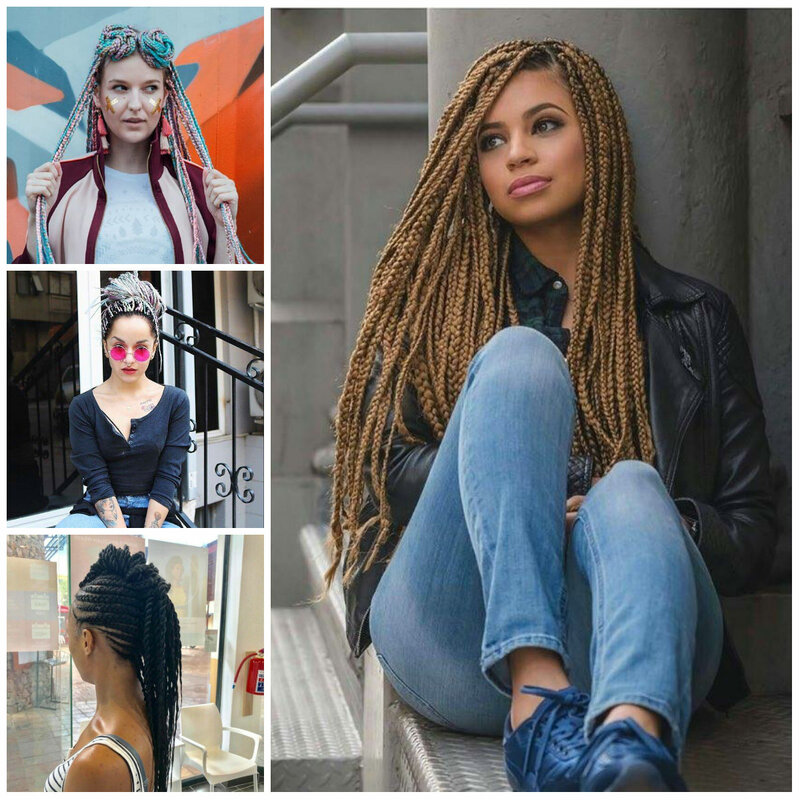 Cornrows work especially well with medium-length strands. All you need to do is to weave cornrows at the front and then pull them back and secure in a simple bun. Style the rest of tresses wavy for a cute look like this. You can never go wrong with a headdress like this. 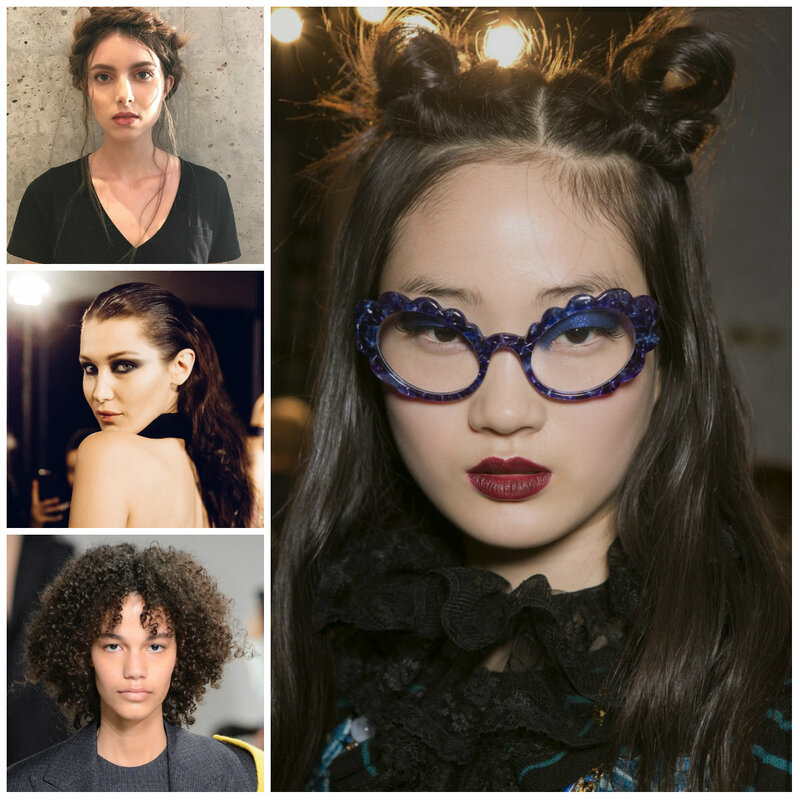 Space buns are the hottest trend right now and they are great for any season of the year. They are fantastic alternative to summer months. 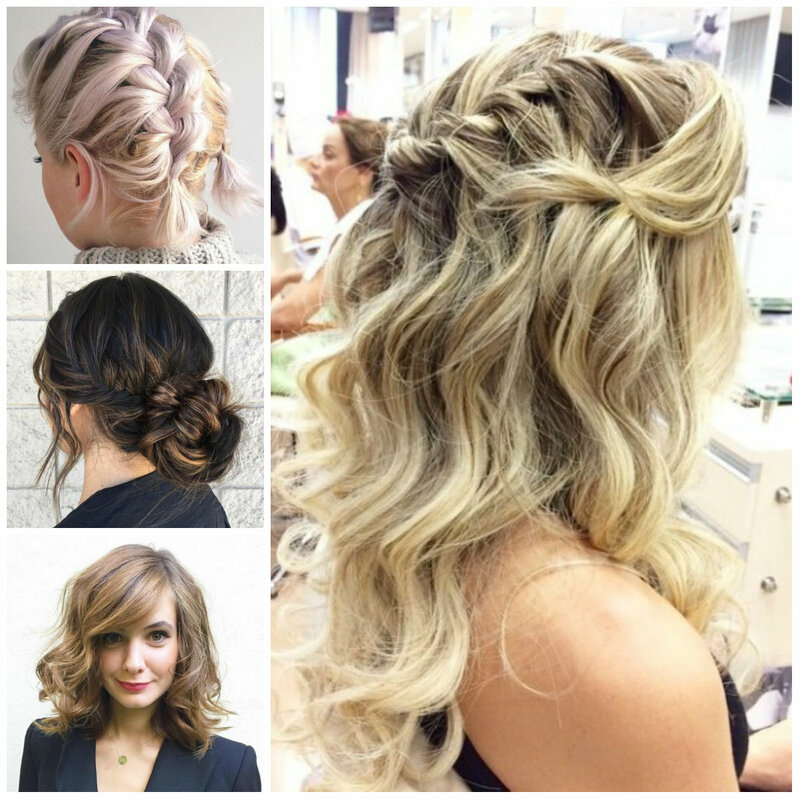 To make the bun beachy, give your strands a lovely hair color. Consider this pastel green that is paired with black roots to create an ombre pattern. 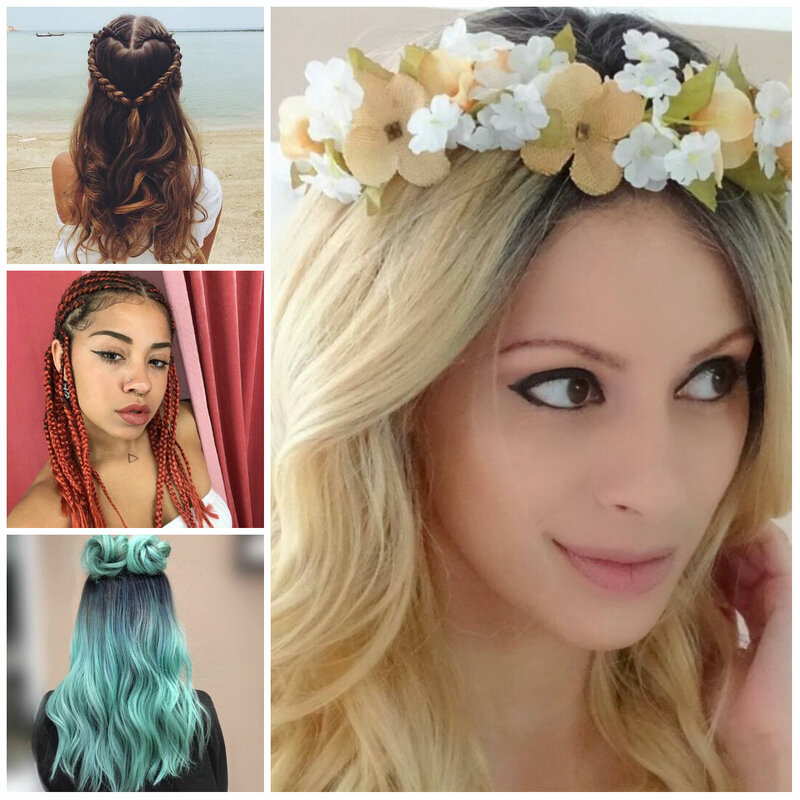 The color is already enough to provide you with a mermaid look but you can style the rest of your strands in beach waves to get what you see here. This bun looks stunning. It is a winning hairstyle on Instagram. 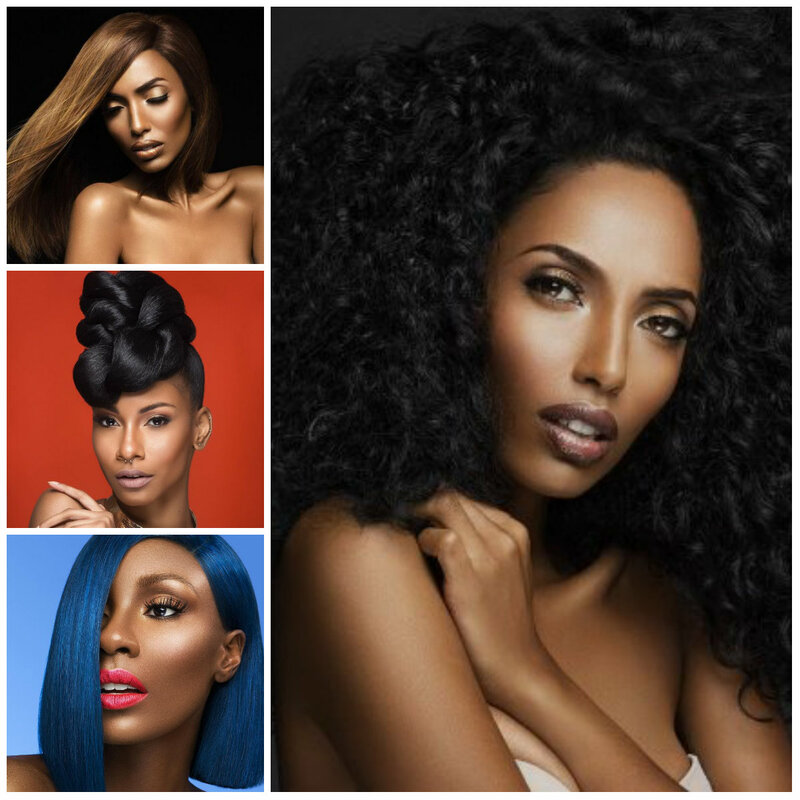 The combination of micro braids creates a visually compiling hairstyle that works for all situations. It is a fun style that will bring joy to any lady, who decides to rock it. Ask your colorist for colorful extensions to make your box braids even more fun. Finish the style with a regular bun design that is pretty massive.